Mmmmm Pithala ..This looks delicious. Great work on the name plate Manisha and Medha! It is impressive already! I am always interested in a different take on the Pithala - there is such an amazing variety. For the longest time, because of my limited Maharashtrian exposure :), I thought there was one standard recipe. As if there is ever a standard recipe for any classic! At our place, we generally make the lumpy kind in which you gradually sprinkle besan over tempered boiling water, and dunk in like a cup of coriander. Now I try different kinds. Once I found you cd make it really spicy (after the Nagpur recipe where, I believe, you take equal quantities of besan, red chilli powder, and oil!! Yum), I deviate a little bit every time. Now I have your take to try. Pithala looks delicious. I haven't made many dishes with besan. I guess it is an acquired taste. You and Medha make a good pair. I am glad to hear about your wonderful neighborhood. It makes all the difference, doesn't it? Christmas is a great time of the year. We are having the choir from our church come to our home this Saturday. Haven't set up a Christmas tree yet. Share a picture of your tree too..
How very sweet!! !Very good work by Medha as well as you. 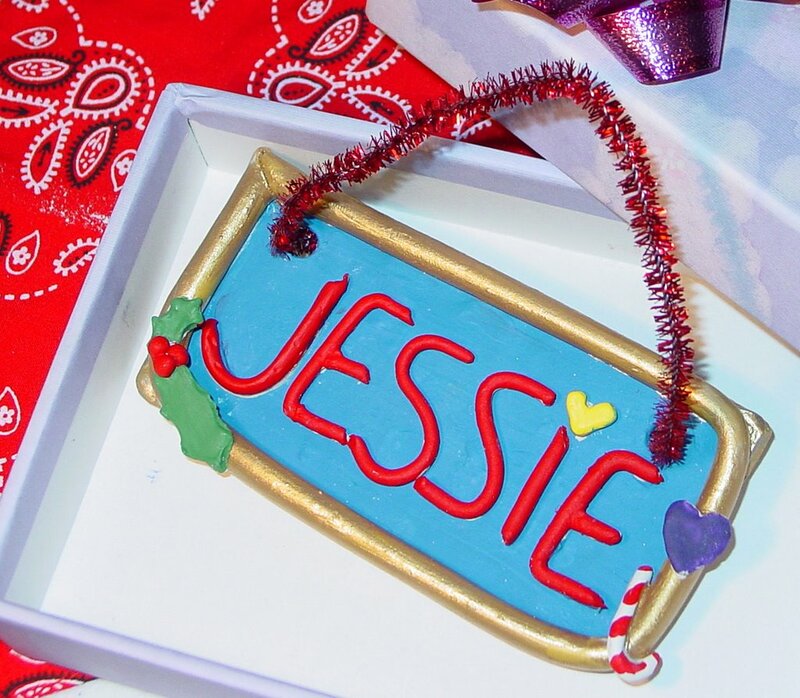 Well..all the time I was wondering....what if Jessie "accidentally" visits your blog? :D.
As you know, I am still far far away from celebrating Christmas at home, but I looove reaading about it. Definitely I would love reading about Medha's Christmas :). Wish you both all the best :D.
Cakes and decorations are great! We have a tree too,all decked up. Although I don't do Christmas it's just fun for the kids! lovely post Manisha! who wouldn't want to welcome you to the neighborhood? I'm sure your neighbors are happy that you moved in there. Your daughter and you have such a lovely tradition of doing things together. It's very inspirational. Thanks for sharing. Yup, we've got the lights, the tree and the decorations too. My daughter and I are trying to make tissue paper cutout garlands to go around the tree...a work still in progress. oh, and yes, lovely recipe too! Jyotsna, it was very good. I didn't particularly care for pithla till I was much older, so it surprised me when it was a hit with Medha. Anita, when clay dries, it shrinks and becomes brittle. Since the frame and the letters were made of a thin coil, they warped as they dried. We had to make a thicker frame and re-do some of the letters again this morning. Medha's gone off to school of course but I keep pressing down on the letters to ensure that they dry better this time. We are probably going to end up with very loud colors on the nameplate since a certain someone likes red, bright blue and yellow! My variation of pithla is mild. It can be spicier so go ahead and add more red chilli in the phodni or add finely chopped green chillies to the besan-buttermilk mixture. I don't remember how my mother made pithla but I do remember that it was lumpy, which was one of the turn-offs for me, as a kid. Now this equal quantity of besan, red chilli powder and oil sounds very enticing! Sra, that was my thought, too. 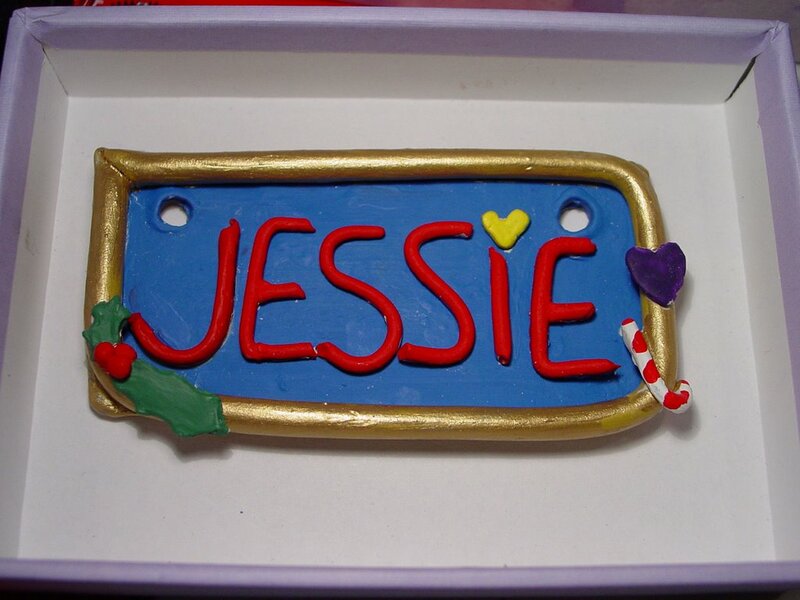 Except that icing does not harden and warp, the way some of the letters did! Please post the recipe for the dish you mentioned. What is it called? And what do you use for khatash? I haven't been very successful cooking with milk. A Sikh friend of mine used to cook chicken in milk. Hers used to be fantastic but mine never worked. Gini, we can't do without besan. 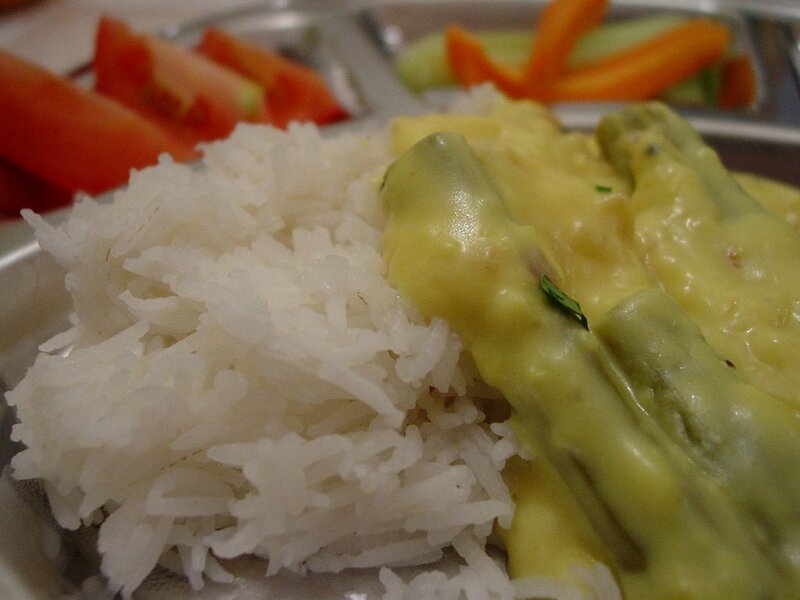 I make a lot of kadi so besan is almost a staple ingredient in my pantry. It's a lot of fun doing this kind of stuff with Medha. She has great ideas and we seem to make them come alive together! I would have been miserable if we didn't have great neighbors. They really helped make the move so much easier. You're hosting the choir at your home?! You lucky girl! I gave away my 6 ft artificial tree when we moved and bought one of those fibre-optic things last year. I missed putting up all my ornaments. I have ornaments that Medha made in day-care and school from the time she was 2 years old. I am thinking of getting a real tree this year. Let's see! And yes, I hope to share pictures! Deepa, welcome and thank you! Hope to see you around here more! Shilpa, Jessie had better be in school! ;-) Medha's Christmas is going to be fun as her cousins will be visiting us from NJ.Thanks for the wishes and same to you! Asha, what cake?! You have a great time, too! Winter break starts next week! Saffron, just like it's tough to be the new kid in school, it's tough to be the new family in the neighborhood. The dynamics aren't much different, just that the players are much older! But this is one group that is very easy to be with and very accepting. The kind of things they do together are rather amazing, and it's absolutely OK to opt out. 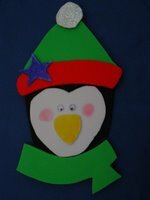 It's fun to do these arty-crafty things with our kids, isn't it? I know Medha would love to see the garlands you are making together. I am sure they will be beautiful, so do share! Have a great holiday, too! Manisha read somewhere that Colarado is the healthiest state in the union with sunlight 330 days or something like that. Santa is sure to make a visit. 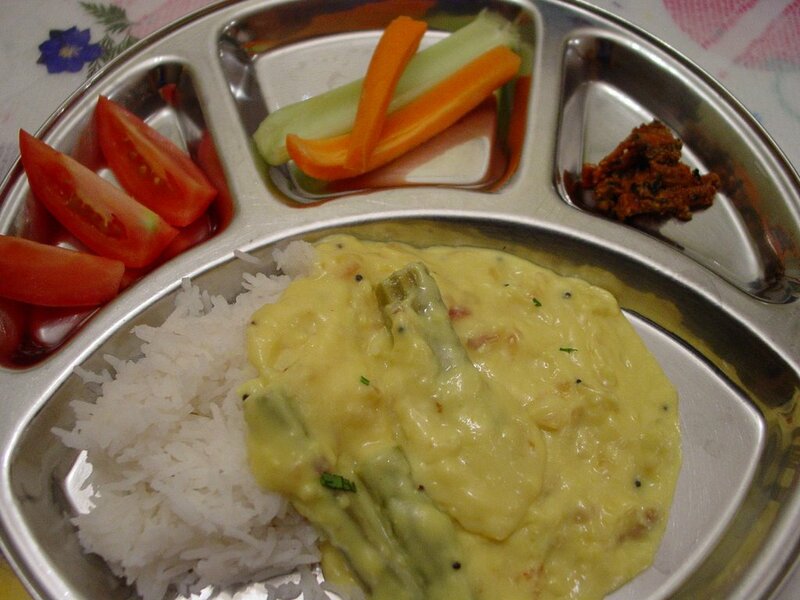 IS Pithala similar to Kadhi, it is a new recipe for me to try. Nice recipe and great pic too... I was just wondering if pithala is basically a lot like kadhi( without the drumsticks)? Only, it doesn't mention the besan or the rice flour, I think you add it to the milk first and then put the mixture into the curry. What is khatash? Tadka? Pretty much the same as yours. shabari here! :) it`s the first time iam writing a note,but i do visit ur blog regularly....wanted to tell u that ur blog never fails to lift my spirits ,bring a smile to my face! i must say u are one talented lady! way to go!!!!!!!! also when i read ur adventures with ur angel (medha! ),reminds me of the fun times i shared with my mom, :)wakay then will wind up for now, take care......see ya! happy holidays! Hey, look at that plate!!! As a child, I so used to love eating in that kind of plates with compartments. Our Telugu neighbours (another connection with your post!) used to use them because they were a joint family with lots of kids, and the women of the house used to wash vessels. They did not hire domestic help for a long time. With these plates, you don't need katoris or bowls, hence their use, I guess. Since we didn't have them at our place (my mother hates them! ), they were always a novelty for me. Awww, you've made me nostalgic now. Yummyyy !!! Medha - Congrats on such a charming piece of art. Manisha - To you too. Christmas tree - I have been wanting to have one since 3 years now. The decorations, the festive mood is just incredible. So we bought an artificial one this year. Yayyy !! The Pithla is somewhat like kadi mebbe because of the presence of the besan powder. Was just wondering if you have displayed your mail id somewhere on the blog? Was going thru some of your archives, and wanted to share something with you on mail...you'll find my id on the blog, pl send me ur mail id if its ok with you..
Indosungod, you're right about Colorado! I think I saw it in one of the last few issues of Time magazine. People in Colorado live longer and it is also the 'skinniest' state. I must say I help tip the balance the other way as far as skinny is concerned! Anon and Indosungod, this version of pithla is like a very thick kadi because I used buttermilk (or yogurt) along with besan. However, other versions of pithla use water. Try it out! Feel free to experiment as mentioned here. Sra, you're right! KA's drumstick curry looks very like my pithla. I will try it with the drumsticks I have left. By khatash, I meant souring agent. If the buttermilk/yogurt is slightly sour, pithla tastes gret, just like with kadi. If you see other recipes for pithla tat use water, lemon juice is used to give it that slight tang. Shabari, welcome! It's so nice to hear from you! And if you go on this way with all the compliments, my head will swell up and that will be the last straw - I don't fit into my clothes as it is, now I won't be able to get into them either! Jokes aside, I am thrilled it brings back memories for you. It also tells me that I am doing some things right! My angel had two canines extracted earlier this week and I think I got more woozy than her because I couldn't bear to look at her mouth. And because I couldn't look at it, it was constantly proffered in my face, jaw wide open! Mythili, I will update the post with pictures of the finished piece shortly. I've been dealing with migraines this past week, apart from bloody jaws! Have fun with your tree! I got my first set of ornaments from Walgreens (ya!) at throwaway prices after the season was over. And, they're still chugging along, 7 years later. And, you're right about this version of pithla being very like kadi - it's because of the besan and the buttermilk/yogurt. Nabeela, that's a huge compliment! I do my best is all I can say. There is something very wonderful about children and being with them! I volunteer at her school a lot, too. Any chance I get to get into their classroom, I take! I am very lucky that her school welcomes parental involvement at every stage and they encourage participation in the classroom. It's a treat to be among them as they are so full of energy and uninhibited with their thoughts! Nandita, the Tamilian pithlaa sounds very interesting! Do you have a recipe for that? It was great to hear from you and I will be in touch very soon! Hi Manisha..so this is what pithla is, forgive my ignorance...~smile~..I have the same recipe for drumsticks with besan but I don't use onions or buttermilk, I must try your version...I planning on posting my version and I will link to this post if you don't mind...I do love this dish...thanks for sharing...~smile~..
We too had the tree up with the ornaments that we have collected during the previous years. Nothing new on the tree this year! 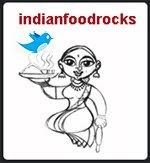 I am planning to bake a cake, probably archana's recipe! I bought Wilton's gingerbread house kit which we plan to do this weekend. We are planning to add more yummy decorations to the gingerbread house including trees and gingerbread people. Dilipbhai, kem cho ane welcome! Mara var Patel che pan ene bo vadhare Gujarati avadtu nathi! And, as you can see, mine is even worse! There are many variations to pithla. It's almost like khandvi except that the phodni (vaghaar) is done before heating the besan-buttermilk mixture and it's not dried up as much. Please link away and let me know so that I can try your version, too! RP, thanks! 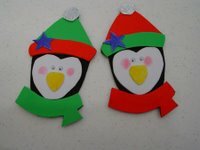 I'm hoping to put up our trees this weekend. I haven't bought a gingerbread house kit despite a lot of grovelling as that is what the kids do at the Secret Santa party. Medha's house is usually a disaster - I don't think she has much future as an architect! And hey! I am planning to make Archana's Kerala fruit cake, too! We must compare notes! This is very exciting!! Ohh that nameplate looks very very cute now. I wish I was a kid and Medha was my secret santa :). that name plate was great!!! Pithala is new to me but very welcome. You are blessed with a wonderful neighbourhood and the holidays are the best way to show the affection towards each other, right? Nice name plate. Pithla looks delicious Manisha. We make something like this on similar lines but with other veggies like potato, cucumber etc, never tried it with drumstick so far. 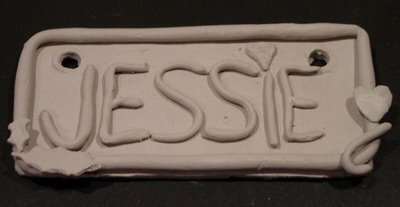 I love the penguins that Medha did last year and the nameplate came out just beautifully; I can imagine how pleased Jessie was. And the image I have of Medha's escapades delivering the gifts is wonderful. The neighborhood Secret Santa project is a great idea. I'm looking forward to hearing what comes next. Manisha, You know I never liked Pithala Bhaath when I was in school and also later as a teenager and I swore I ould never make it even as a grown-up. But my mother always laughed at that and said that I would start loving it after I got married and had my own family simply because it is so convenient to make and does taste delicious. What she predicted was so true. We used to play this game in our class during my college days!Its such a fun game.Merry Christmas to you and your family! Shilpa, I'd love to be a kid again, too. I just don't want to go through the teenage years again, though! Mahek, welcome! Do share pictures of the nameplate you make for your house! Shaheen, I do think we are very lucky! Let me know if you try the pithla. KA, I saw your recipe and I am going to try it with milk. You can add drumsticks, tomatoes, onions, and any veggie you feel like. It's up to you! Lee, I will tell Medha! She's finding out who her Secret Santa was right abotu now - the party is in progress. I came home to help with the shovelling and because I thought I had an appointment I needed to cancel. I have till tomorrow and lots more snow to do that! Anupama, I know what you mean! There's something very "home" and "roots" about pithla, once we're adults! Sumitha, we played Secret Santa in school, too. Except we called it Kris Kringle. It was a ton of fun! Dilipbhai, thanks! I will check out your post very soon to see how you made pithla your way! Ashwini, we're in the middle of a blizzard as I write this. And believe me, pithla bhath is very inviting and is probably going to be what's for dinner! Anon, I have no idea where you live. But in the schools, the season is referred to as "The Holidays". The party at school is called the "Winter Party" and not the Christmas Party. Folks don't say say Merry Christmas, they say Happy Holidays. It's not Christmas, it's the Holidays. When my daughter was in first grade, she had a beautiful book called The Christmas Story which she wanted to give to her class library since she had two copies of it. Her teacher sent it back saying, "We don't talk about church or the Bible or Christmas in school." There's this whole thing abotu being PC about just what it is we are celebrating! Manisha, I live in the US and the school is right. They are trying to maintain secularism. If they allow your daughter to bring christmas book, then they will have to allow diwali and eid books too. State schools cannot favor one religion over the other. Anyway, it is unrelated to pithla recipe and hence I could not understand why it was there. The name plate rocks (too)! Let's try out the Nagpuri (I think) pithle - 1 katori chilli powder, 1 katori besan and 1 katori oil - Game anyone? Will make 'the Holidays' really warm and colourful!! Being politically correct and 'secular' should not have to mean pushing our 'cultural' inheritance under the carpet. Wouldn't it be nicer if we learn to share our differences? Just wishing "Merry Christmas" or telling people about our religion (which is inextricably linked with culture)should not threaten another group. Like the Mahatma said - let the winds of the great cultures/religions blow freely through my house, but I refuse to be swayed by them (or words to that effect). Happy Holidays! (or may I say - Merry Christmas!) :) Cheers. Anon, it's not so much maintaining securalism as it is poor implementation by way of suppression of information. Think about it: where is it that children first are exposed to cultural diversity, and therefore religious diversity? When they go to school and are there 6-7 hours of their day. If the schools acknowledge that religion exists, our children will grow up to be more accepting of others' beliefs. Quite honestly, I think there should be books about Eid, Diwali, Hannukah, Kwanzaa and other cultural festivals. Many ethnic festivals are tied closely to religion. Schools in Maryland are beginning to include Diwali. Schools in New Jersey already include many Jewish festvals. Implementation of securalism is very poor: at talent shows and at class parties, children are allowed to perform Good King Wenceslas, Silent Night and other carols. Why deny the children what Christmas is really about? Schools encourage children to write letters to Santa Claus. They sing songs about Jolly Old Saint Nicholas. Saint? Wait, there's religion there, isn't there? I have experienced several knee-jerk reactions from local religious organizations to the denial of religion in schools. It borders on fanatical. There were several incidents in Medha's school in Illinois which then prompted the school to distribute a cultural brochure, published by Scholastic, that talked of various ethnic festivals: Diwali, Eid, Hannukah and Kwanzaa were all explained, as was Christmas. I can't find the brochure online but it was similar to this but not quite the same. What does this have to do with pithla? Well, this post was about traditions, new and old, putting down new roots and listening to the call of my original roots. I don't claim to be a good writer so I am sorry if the message was garbled. Merry Christmas to you! Anita, my stomach is far too weak to handle 1 katori of red chilli powder! You try it but make sure you have Tums (or its equivalent) on hand! Glad you liked the nameplate. I feel like making more! Medha is not so sure - as it was quite a bit of work, but then she chose it as her craft gift! The third graders just celebrated a Heritage party instead of the usual winter party. For a week prior to the party, the children studied their own heritage. They had to interview at least two relatives who were not their parents or siblings on things that like why you came to this country to what you miss the most or what is the most important lesson taught to you to what is your favorite festival and how do you celebrate it. Very similar to this. At the party, children were encouraged to perform ethnic dances, play tunes on the piano, do card tricks, show mementoes that their ancestors carried with them and if you could, your family brought an ethnic dish to share. I took chaklis (sans chilli powder), which the children did not care for much but the parents loved them. What was the festival that Medha wrote about? Diwali. As you said, culture is so intertwined with religion that denying it exists will only do harm. There's a balance that can be achieved and it will only serve our children better. Every year, we go through Meri Christmas! Teri Christmas! with a Goan friend of ours. It really is sabki Christmas if you allow it to be, so Merry Christmas! sra, thank you and I hope you have a wonderful 2007! Hope you enjoyed the hols and happy new year! Manisha, Medha is goining to have lots of stories to tell your grandchildren about granny. Love all the art work. Pl. 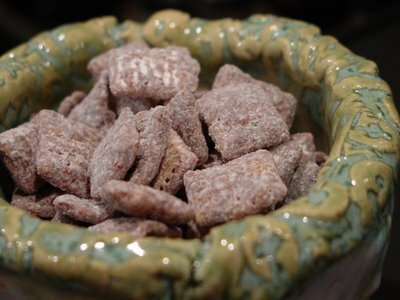 post a picture of the bowl with full view even though it looks great with the puppy chow. Medha will be happy to see it here I'm sure. Pat her back for me. Anjali, it's a pinch pot and the owner of the studio put it in the kiln even though she wasn't done with the final glazing. Despite that, the inner bowl is really very cute. I will take a picture and post it soon!